Invisalign® is everything the name implies. Invisalign® straightens teeth without wires or brackets, using a series of clear, customized, removable appliances. It’s virtually undetectable. Each Invisalign® aligner is worn for approximately two weeks. And, you can remove the appliance to eat, brush and floss. Only Align Technology certified orthodontists ensure the best results. That would be us. Contact us to make an appointment. 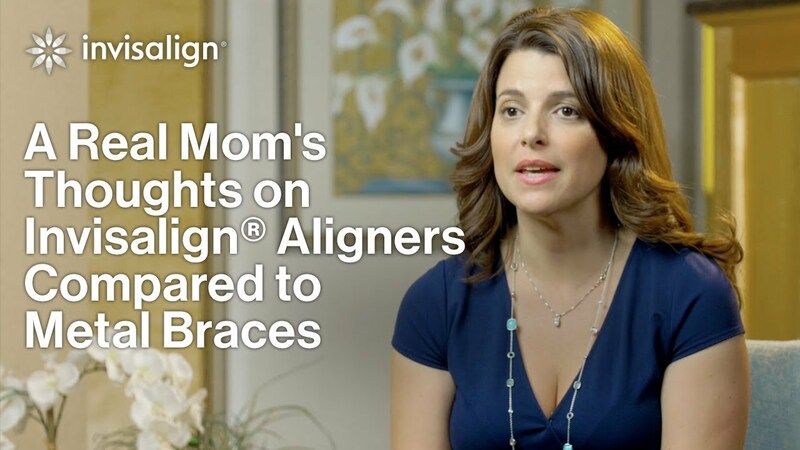 Invisalign® went to leading orthodontists, parents, and teens themselves to custom design an Invisalign® system for the dental needs of teenagers. Each aligner has blue-to-clear color changing indicators to show how long each aligner has been worn. You will receive six free replacement aligners in case some are lost or broken. Invisalign® teen is the perfect teeth-straightening system for today’s busy teen lifestyle! If your orthodontist feels Invisalign® is a good fit for your orthodontic needs, a set of x-rays and teeth impressions will be taken. These x-rays and impressions will be sent to a lab where the Invisalign® aligner trays will be made using a 3D computer projection of how your teeth could move with the help of aligners. The result of that projection is the basis for creating your custom-made aligners. Your specific case will determine how many aligners you will need throughout your treatment, but typically a set of 20 to 30 aligners are needed for both the upper and lower teeth. Your orthodontist will provide your Invisalign® aligners in groups, a couple at a time, and you’ll wear each aligner for about two weeks. Invisalign® trays are removable, and should be removed for eating and brushing your teeth, but wearing them consistently is vital to treatment success. If you need orthodontic treatment, chances are Invisalign® can help. Invisalign® can treat a wide range of cases. The teeth straightening process will vary from person to person, but the basic idea stays the same. Your orthodontist will take x-rays, pictures and impressions of your teeth, and then use that information to create a treatment plan. You’ll receive a series of custom aligners that you’ll change about every two weeks. Over time, your teeth will gently and gradually shift into place. Traditional braces tend to be unsightly and less comfortable, and they make it difficult to keep your teeth clean during orthodontic treatment. Invisalign® clear aligners help you to stay confident and comfortable throughout the teeth straightening process. They’re also removable and wire-free, so it’s easier to maintain proper oral hygiene and not worry about getting food stuck in hard-to-reach areas. Invisalign® offers many advantages over braces, often at about the same cost as other orthodontic treatments. If you need orthodontic treatment, but you’re worried about how braces will look, don’t worry. Invisalign® Teen can treat many cases, and uses nearly invisible aligners that won’t show up in school photos or interfere with sports. You can also remove them to brush and floss to maintain good oral hygiene. And if you accidentally lose an aligner, there’s no need to worry. You get up to six free replacements. * Take the Teen Smile Assessment to find out if Invisalign® will work for you.